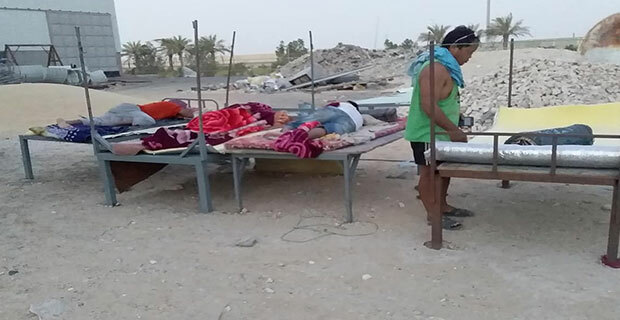 The shelter is among the basic needs of people as protection from the heat of the sun, a bad weather or a rainy day, to keep them safe and free from harm. 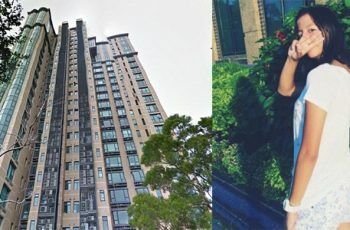 Unfortunately, some people are deprived of a decent house where they can live comfortably. 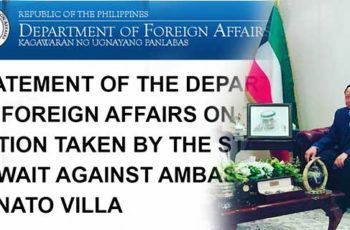 This is the problem of some Overseas Filipino Workers (OFWs) in Dammam, Saudi Arabia who lost their house after it got burned last December 13, 2017. 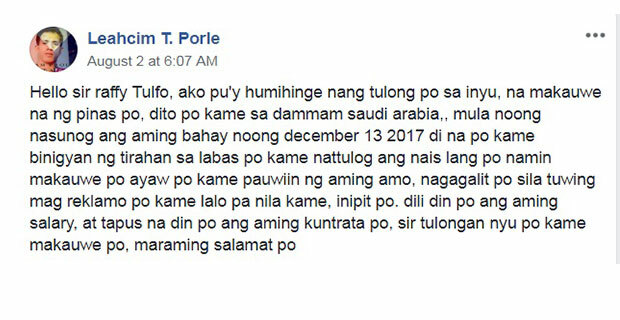 OFW Leahcim T. Porle took to social media his intention to ask for help from Raffy Tulfo so he and his fellow workers can go home to the Philippines. 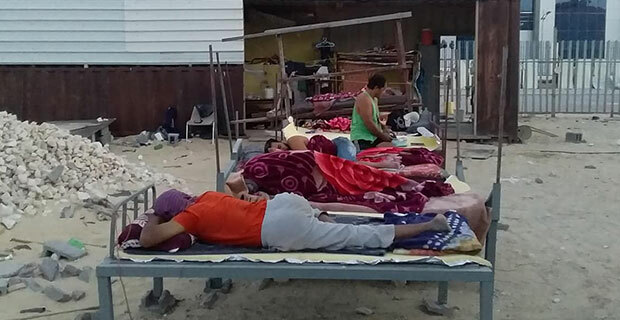 According to Porle’s Facebook post, since their house got burned, they were sleeping outside and had to endure the extreme heat of the sun. And every time they would complain, their employer would only reprimand them. Porle also stated that aside from their salaries were delayed, their contracts were finished already. Because of this, he decided to seek the help of Raffy Tulfo as their employer won’t let them leave. Meanwhile, the post earned more than 13,000 shares by netizens who aimed that their condition is known by Tulfo. 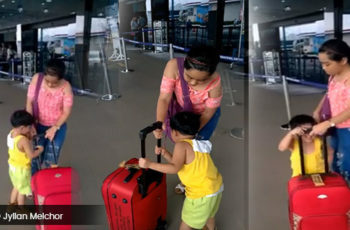 It also earned more than a thousand comments, mostly sympathizing with the OFWs. 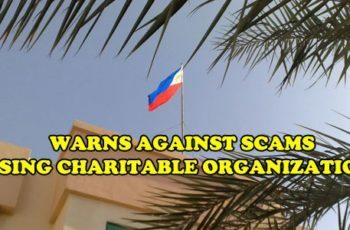 On the other hand, many netizens advised Porle and his group to ask for help from the Philippine Embassy in Saudi Arabia and express their intention to go home. Some also offered their prayers, hoping they’ll receive their much-needed help. With the help of social media, many wished that they’ll be able to come home soon.